In India, tea is a very popular beverage and Indians love their cup of tea. The importance of tea drinking in India cannot be confined to words, Indians have to have their cup of hot steaming tea first thing in the morning in order to stimulate their senses and refresh themselves. In fact some even argue that tea as a beverage enjoys much more preference as compared to coffee in India. Tea is like a comfort drink for many Indians, especially on rainy days, you can always catch them savoring a steaming cup of tea along with pakoras (a type of fried snack). India is the world’s largest producer of tea and most of the tea production in India takes place in West Bengal and Assam. Tea is popular all over India mainly as an evening drink as well as breakfast drink but nothing complements a family get-together or a college reunion more than an endless supply of tea throughout the day. In fact it is so popular that it is a cultural norm tea to offer tea to guests and visitors instead of alcoholic drinks. Although in recent years many people have shifted to imbibing tea liquor, the age-old tradition is to blend the tea liquor with a little bit of milk, add sugar in accordance with one’s taste and then sip it contentedly. Almost everywhere you go in India you are sure to find tea or ‘chai’ as it is commonly known in most of the North Indian languages). Although there are lots of different types of tea available, the most common variety has to be the ‘railway tea’ type hands down. This one is basically a cheap version (Rs.2-Rs.5 per cup) which is sweet and uniquely refreshing once you develop a liking for it. This type of tea is made by brewing the tea leaves along with milk and sugar and serving it steaming hot. Another famous variety of tea in India is the Masala chai which has spices added to tea during the preparation. The commonly used spices are ginger, cardamom, cinnamon and black pepper. However this type of tea does not appeal to all and sundry, it takes some time before you cultivate a taste for it. The Masala tea (or spices tea literally) is popular in Central India as well as Northern India only because the people in Eastern India like their tea without any spices. Tea drinking in India dates back to 750 B.C. 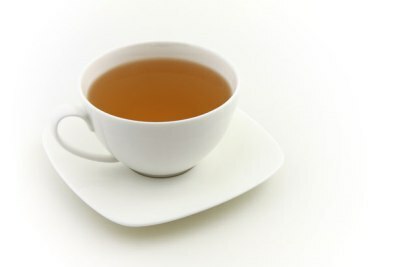 (see article about the History of Tea Drinking in India) and could be described as serendipity when the locals used wild native plants for brewing this beverage. Gradually other varieties of tea originated. At present, Darjeeling tea and Assam tea remain the most popular varieties of Indian tea in India as well as worldwide. India is the largest tea drinking country in the world even though the average consumption per person is less than half a cup because of the low income level. Over the years, tea drinking has become an integral aspect of the India culture. It is considered as a way of life. Remove tea drinking from India and you remove the basic essence of this vibrant and lovely country. © 2019 Heinz Traber. All photos are put in the public domain by the developer or are already believed to be in the public domain — if you know otherwise, please notify us. Photos may be used for commercial as well as personal projects.